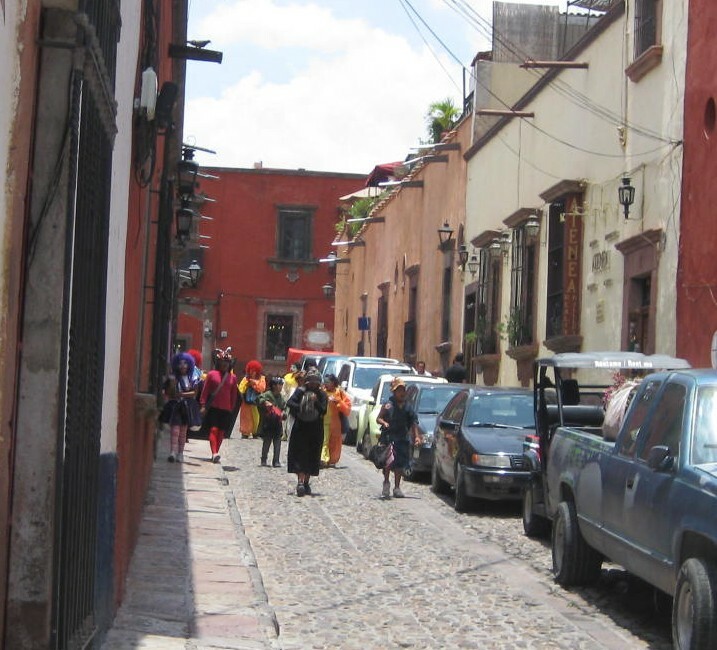 As I gear up for my return to San Miguel January 30 I started to go through my posts in waiting and found this charming little street scene. What I love about San Miguel is that few people ever do a second take. There is enough oddness there that oddness rarely deserves a second look. Tourists, on the other hand, develop a sore neck from second looks, a bruise on their arm from pokes to look and an unsettling sense that life back home in Saskatoon in a tad tame. 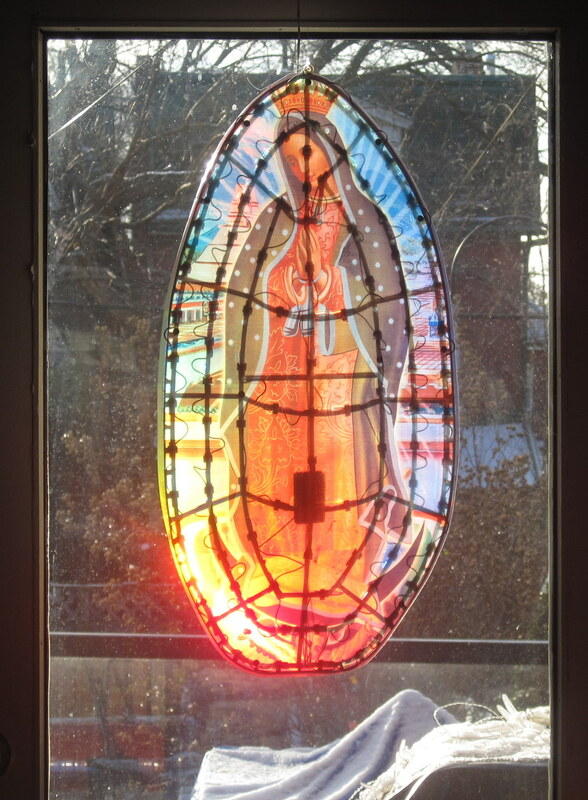 At Christmas, my daughter in law in Los Angeles gave me Virgin of Guadalupe that lights up. Going through security at LAX I was convinced that I would be separated from my Virgin but she passed inspection and came back to Toronto. Of course She was placed in the window and turned on at night. This morning I came downstairs and looked in the living room and beheld a Miracle. 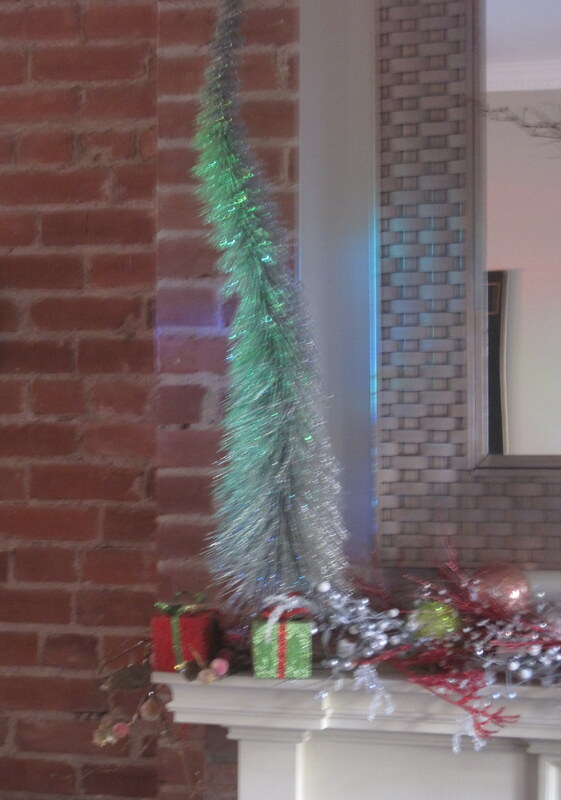 The Light of the Virgin of Guadalupe filled my living room and lit up a silver Christmas tree we had on the mantle. I didn’t believe that Miracles could happen in Toronto but they have and in my own livingroom.